Alcohol-based hand sanitizer in squeeze bottle. 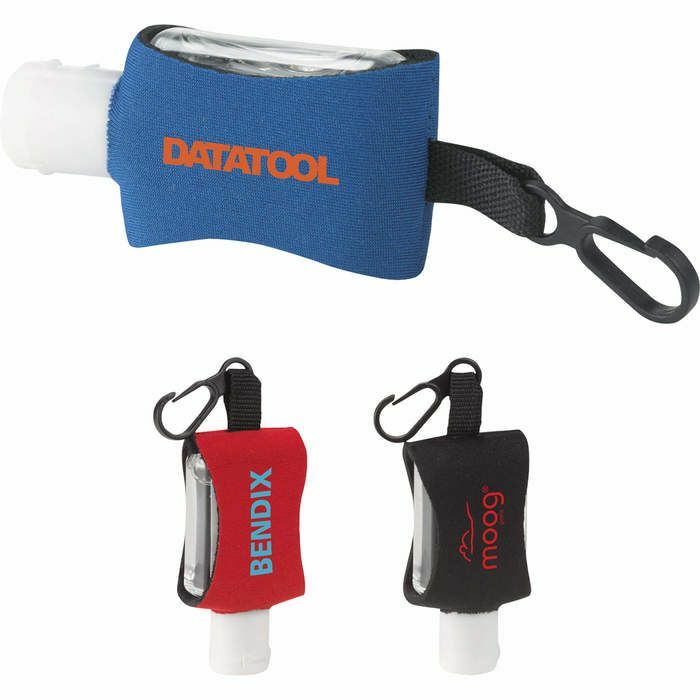 Neoprene sleeve with plastic clip. Flip-top lid. Available for shipment in contiguous US only (shipping to Alaska, Hawaii & Puerto Rico NOT available). We've passed these out at golf events, teacher appreciation, etc. and folks love them. They are a lower price point item that doesn't feel cheap.